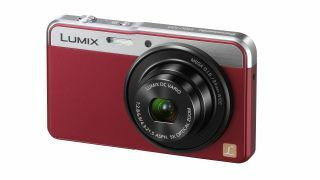 Panasonic has introduced the XS3 - a super slim compact camera that's just 14mm thick. The Panasonic XS3 incorporates a 14.1 million pixel MOS sensor, compared to its predecessor the Panasonic XS1, which had a CCD sensor. Panasonic claims that this will help the camera perform better in low light conditions. It's also packed with a Venus Engine image processor to help with advanced noise reduction. This tiny camera is also capable of Full HD video recording and boasts 'Light Speed' autofocus. The Panasonic XS3's lens comprises of six elements in five groups with three aspherical lenses with five aspherical surfaces, and boasts an f/2.8 maximum aperture and 24mm wide angle. A 5x optical zoom offers an equivalent 24-120mm range in 35mm terms. A wide array of creative functions have been included, such as a Creative Panorama function, enabling the use of digital filters. Those filters are also available in standard image ratios, and include Retro, Expressive, Impressive Art and High Dynamic. The Panasonic Lumix XS1 price is yet to be confirmed, but it will be available from September.